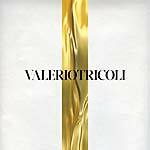 Second Sleep present Valerio Tricoli's Vixit. Valerio Tricoli is an Italian electroacoustic composer based in Munich. Valerio is very good at creating a narrative structure where sounds take shape and become real characters of a story. The track "La Solidità della Nebbia" evokes the ghosts of Luigi Russolo, it's a composition based on 1/4-inch-tape treatments of samples of both Intonarumori and self-built acoustic instruments made to resemble the sonic qualities of Futurist's instruments. "Di Vaga Crepa, di Gelido Futuro", on the other side, is a long tracking shot in which electronic and concrete sounds are recounted by Revox tape recorder and digital processing techniques. Edition of 200. Restocked. It has been 7 years since Metaprogramming from Within the Eye of the Storm, the last solo full-length release by Valerio Tricoli. In the years between, he has established himself as a formidable presence on the international experimental live circuit and released acclaimed collaborations with Antoine Chessex, Coi Tormenti (Dilemma Records, 2010) and Thomas Ankersmit, Forma II (PAN 016CD, 2011) along with the fifth full-length release by his band with fellow Italian cohorts 3/4HadBeenEliminated, Oblivion (ZEIT 011CD, 2010). Throughout these shows, collaborations and ongoing explorations, Valerio has developed on his signature style of beautifully unsettling musique concrète. The result of his tireless explorations, Miseri Lares is his magnum opus, a multilayered and heavily nuanced work which epitomizes the uncanny in the realm of sound. Miseri Lares explores a variety of interlocking themes and sonic tapestries that combine in a quietly disturbing and deeply existential work. As a contemporary take on musique concrète, Tricoli utilizes his full explorations of the Revox tape recorder alongside digital processing, while retaining all of the mystery and surprise elements found in the classic approach of pioneers such as Bernard Parmegiani, Eugeniusz Rudnik and Michel Chion. Themes of the internal, represented by both the psychological and the physical, play throughout the record. As a symbol of spirits preying on the grief within, haunting wisps of sound swirl around a throbbing bass in "Hic Labor Ille Domus et Inextricabilis Error," whereas "La Casa Deviata" emphasizes the paranoid structure as looming creaks make way for abandoned pipes and a cloud of escaping water. Here, the tension at play is injected with a treated Dictaphone recording: "Tell me what happened," "I can't remember? THE SMELL!!! There was a tape recorder, where is the tape?" Spoken text (Italian and English) appears throughout the record, mostly as texture or as a dehumanized floorboard -- a play on the album's themes of the psychological, emotional and irrational horror within. Texts by Italian poets Dante and Guido Ceronetti appear alongside excerpts from The Ecclesiastes (in Hebrew, Qohelet), H.P. Lovecraft, E. M. Cioran, and writings by Tricoli himself. These add an extra weight to the recording, making it reminiscent of Robert Ashley or even the comedic tragedy of later-day Scott Walker (baritone aside). Valerio Tricoli's release for PAN adds another piece to the puzzle of narrative-based concrète music, while deviating from all conventional forms and playing out like a literary form of unsettling sound sculpture. 2LP mastered and cut by Rashad Becker at Dubplates & Mastering, pressed on 140 gram vinyl. Vinyl set packaged in a pro-press jacket which itself is housed in a silkscreened PVC sleeve with photography by Traianos Pakioufakis and artwork by Bill Kouligas.